“The team that plays the hardest, longest wins! The team that plays the hardest, longest wins!” Tom Izzo, Michigan State basketball coach. I’m doing horribly in the March Madness contest at PalletOne. I have a college degree from Michigan State, but anticipated they would get knocked out early, because this hasn’t been their year. I should have known better. Under Coach Izzo’s leadership, his team is ready at tournament time every year. No matter what they do early in the season, they seem to round into form in March and become a hard team to beat. This is the seventh Final Four in 20 years. Three of those seven, they were seeded to not get past the third game. The network broadcasting the tournament caught a glimpse of his pre-game speech. 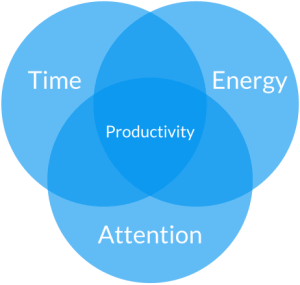 I had been reflecting upon the graphic on productivity above when I heard that speech. It’s an admonition that has merit. Playing harder, longer communicates so many virtues. Build your endurance so you can meet the physical demands. Watch your habits so you don’t waste minutes. Concentrate and do the things necessary to succeed. Izzo gets his team to buy into creating the energy needed to win and employing that energy for a longer period than their competitors. They aren’t the most talented team by any stretch. They find themselves in the Final Four with three other teams with more accomplished records. But, they have summoned greater energy and extended effort. It has set them apart.